Allen Conway's Blog: Is ASP.NET MVC the new WebForms because of Smart Client JS Web Apps? Is ASP.NET MVC the new WebForms because of Smart Client JS Web Apps? The bold answer is yes - MVC is a relic of days past and anyone that uses it has their head in the sand. Well maybe not quite and certainly not near being obsolete. 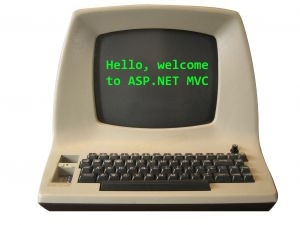 However there is some merit to the fact that ASP.NET MVC is showing it's age as an implementation choice. There are many things that JS web applications do very well and architecturally speaking just make sense. To begin, the JS Frameworks by nature move the heavy rendering and presentation logic to the client. This removes the burden on the server of packaging both markup and data to send to the client. The server's main responsibility is now returning only data typically in the way of JSON payloads via RESTful services (i.e. 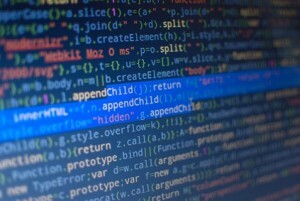 NodeJS, WebAPI), as well as the web artifacts on an as needed basis (i.e. views, images, JS, etc.). With most frameworks, once the views and associated JS is brought to the client it is cached. The combination of client side processing + caching of data and website artifacts = highly performant web applications. The 1st time most developers get accustomed to a JS Framework creating a web application, and experience how the line between desktop applications and web application almost is non-existent they often see the many benefits and don't look back. Add atop of all this, most JS Frameworks were built with testing in mind, have massive adoption, huge amounts of support, examples, and training which adds up to something one can feel confident moving forward with as an implementation choice. Another advantage of smart client JS Web Applications is the fact that they make sense architecturally. MVC by nature is and should be a presentation layer architecture. In ASP.NET MVC, I still see often the architecture abused and used as the full-blown implementation for Enterprise Applications. I don't blame most for doing this as the majority of '101' examples show this implementation so it must be what is used for everything, right? Wrong. It's analogous for those of you that have used Angular 1.x and having the controller make $http calls directly, or abusing $scope as the do-all for the app. A tattle-tale sign of using MVC incorrectly is if the 'Model' is directly making database calls (i.e. EF or whatever) and then having the Controller make calls to methods on the Model. This then results in bloating either the model or controller (or both) with additional business logic or model hydration/shaping. MVC should be the top layer of the cake and only concerned with presentation layer logic and manipulation. JS Frameworks for the most part solve this problem naturally because of the separation now between the client and server. It's more difficult and many times not even possible to abuse the JS Web App client implementation that was done so often in ASP.NET MVC. Now one is forced to call the server for data, and then on the server another layered implementation can exist within the RESTful service to handle logic, rules, additional underlying calls, hydration/shaping, etc.. With a JS Web App we should relegate the MV* implementation client side to only presentation layer concerns, and allow the server to do what it does best and offer up reusable RESTful endpoints, encapsulating all server logic. With MVC this was absolutely possible, however it was typically a conscious decision and had to be made usually at the project's onset in order to have decent SoC and testability. Otherwise the result would be behemoth of a web application stuffed into the slim MVC implementation. Let's pile on another thing helping out JS Web apps in the way of languages like TypeScript. So now let's look at the flip side of the coin: ASP.NET MVC's advantages. Well to begin Microsoft is doing ASP.NET in general a whole world of good in the way of .NET Core 1.0. From a project's physical structure and implantation, the new world of the web in VS.NET is brought inline with where the rest of the web and OSS community has already been in the last several years. This is to the tune of task runners like Gulp or Grunt, additional package managers in the way of NPM and Bower, .json configuration for many different project components or languages like TypeScript, and several other new changes. The irony is from WebForms to MVC we moved from a 'Convention over Configuration' phase. Now we are shifting back to 'Configuration over Convention'. However this is in a very good way. Instead of getting many tools, resources, and processes being dictated and packaged up by default, you need to tell your web app exactly what you want and how you want it to behave from start to finish. This is a good thing. We as developers should have full control over our applications and dictate this configuration. At first this might cause some heartburn as change sometimes does, but it's the right move and I applaud Microsoft. For so long I used to promote how much I liked living inside the comfortable confines of ASP.NET and VS.NET. This magic thing like 'bundling and minification' was done for me along with many other tasks to get up and running. There is a little more work now as this doesn't even exist anymore in .NET Core 1.0, but I can control and configure my apps to be lean and behave as I want them to. So wait, what about the good bits of MVC?? The above was like a back-handed compliment about MVC finally catching up to more standard methods of configuring web applications. However there are a couple of big things MVC still has going for it. 1st it's quite mature. 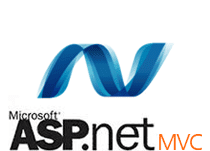 ASP.NET has been around since 2001 and the MVC implementation since 07`. That's almost 10 years going strong. In addition Microsoft is behind it and is now OSS. It's not going anywhere, anytime soon. If your looking for that rock of stability and being conservative MVC is a good choice. Keep in mind though, ASP.NET WebForms is stable and around too, but that doesn't mean it's the best decision. To sum things up, I do believe JS Web Apps are here and probably the best decision for net new web apps today. I personally view MVC as a bit of a heavy weight in the web ring and sometimes we need something a bit more lean to fight our development battle. I agree for the most part MVC is beginning to be viewed as the new 'WebForms' as far as making an analogy to how WebForms were viewed when MVC came to the scene. However as I've broken it down, ASP.NET MVC isn't going anywhere and is still a fine choice to make in certain scenarios. "Are JS Web Apps the new MVC because of WebAssembly?"